It’s been over seven years since we entered the PCIe 3.0 generation, so isn’t it about time for an upgrade? At CES last week, AMD announced that its next processors would be supporting PCIe 4.0, which would once again double our available bandwidth per lane. So, 2019 should be the year 4.0 finally “happens”. At the moment, our graphics cards do not seem likely to benefit from PCIe 4.0, since we’re not even taking advantage of 3.0’s full per-slot maximum bandwidth. Where 4.0 will benefit people most is with storage and networking devices. PCIe 3.0 delivered a theoretical 985 MB/s per lane (giving us peak ~4GB/s performance for x4 SSDs), whereas 4.0 will double that. With specs like this, it really feels like 4.0 is not going to be too important for end-users, at least at first. Yet, here we are, seeing PCIe 5.0 now being ratified. That means if companies were interested in deploying 5.0 gear right now, they technically could soon. The spec is finished, and compared to 3.0, it will offer 4x the available bandwidth per lane. Clearly, if end-consumers are going to have trouble taking advantage of PCIe 4.0, then we’re probably safe to not worry over 5.0 quite yet. Still, the fact that the standard is ratified means that companies can really begin ramping up their development of supporting product. With speeds of 32 GT/s, which equates to about 64 GB/s in a single direction on a x16 port (128GB/s full duplex) with 128b/130b encoding, actual bandwidth will be about 1.5% lower (63GB/s practical bandwidth, rather than the 64GB/s raw). Enterprise is really going to love PCIe 5.0 when the products get here. 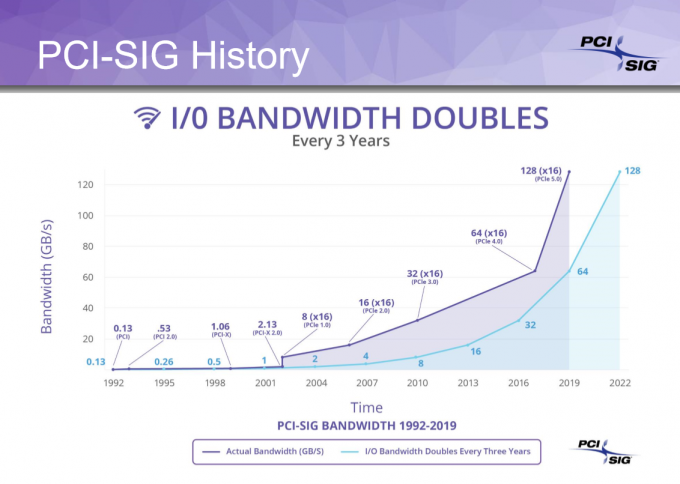 Home users barely know the benefits of 10Gbps networks, yet PCIe 5.0 offers about 5x the bandwidth of a 100GbE connection. With all of this talk about PCIe, you may be wondering where DDR5 memory is, since DDR4 is almost as old as PCIe 3.0 at this point (~five years). 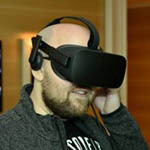 According to JEDEC, that will be coming next year. A few months ago, SK Hynix announced a DDR5 module clocked at 5200 MT/s at a mere 1.1V, so all things considered, the future of bandwidth is looking really good!